At what point does an individual determine they NEED a Financial Advisor? What did you hire him or her for? Are they doing a good job? How do you measure their value? How and how much are they paid? We feel that everyone should have a meaningful relationship with a financial professional, as long as they are adding prudent value and continue earning their client’s appreciation. 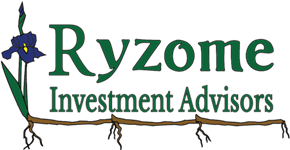 Here at Ryzome, we don’t charge for initial meetings or personal consultations. See our “how much will it cost” tab to determine whether our structure sounds fair to you.